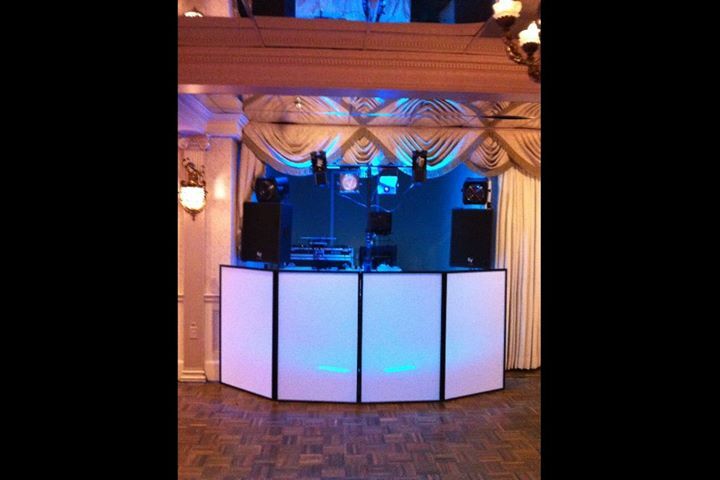 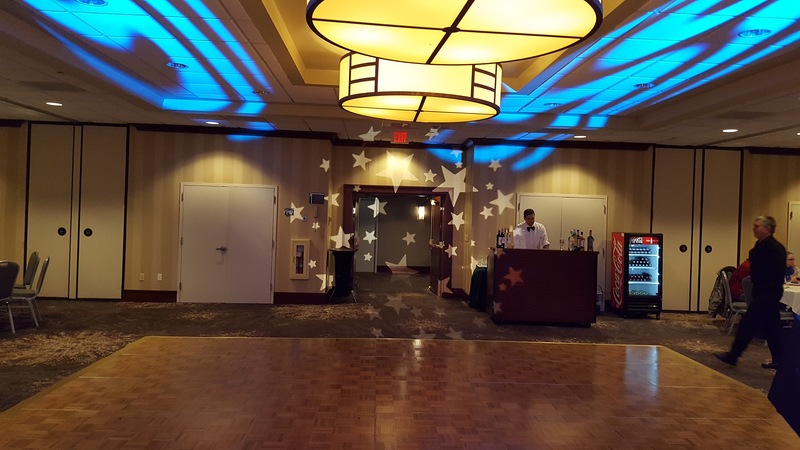 Five Star - includes a Dj, wireless mic, lighted booth, upgraded light show, and TVs for slide shows, pictures, and videos. 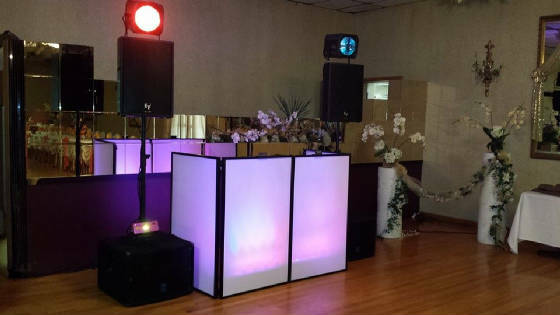 This package includes four trusses two for the Flat screens and two for the speakers. 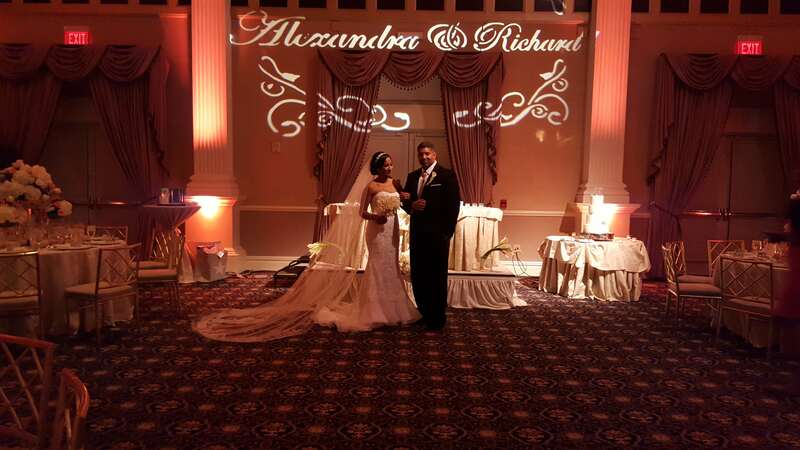 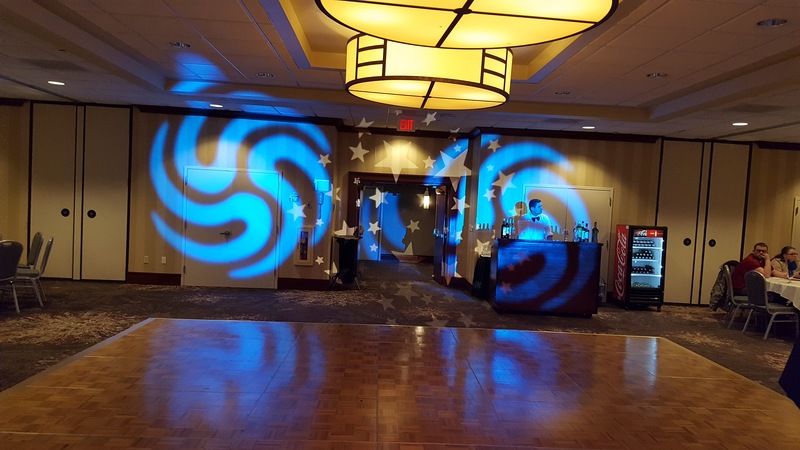 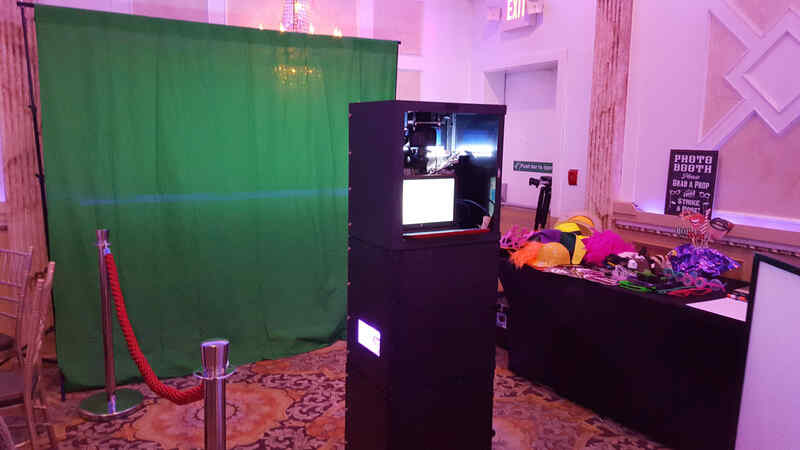 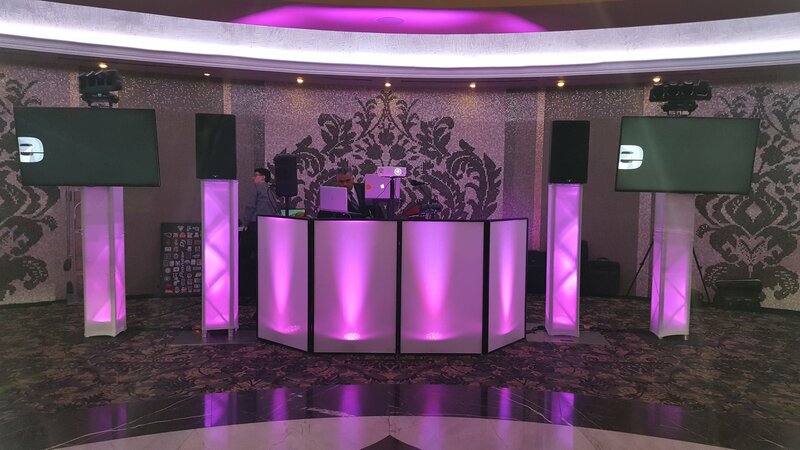 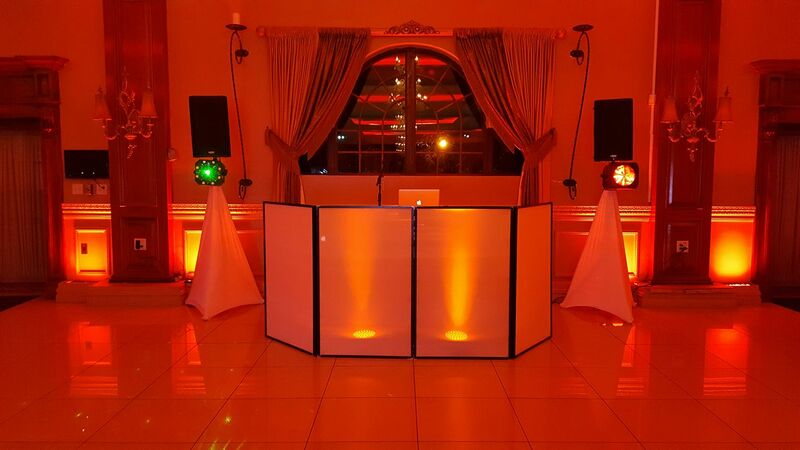 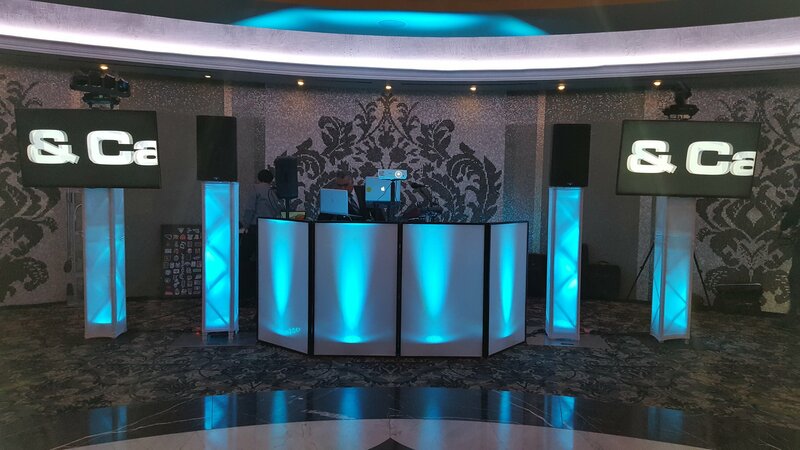 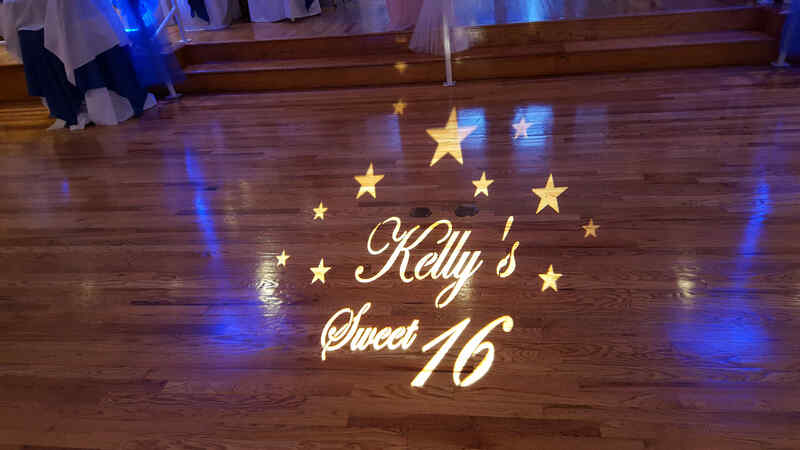 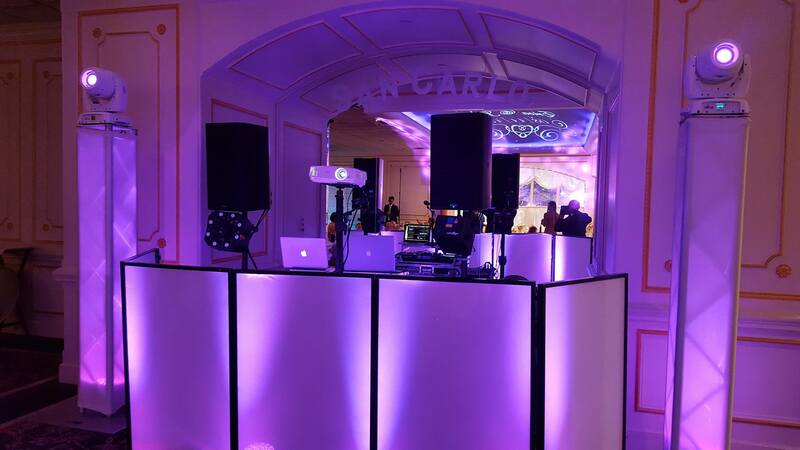 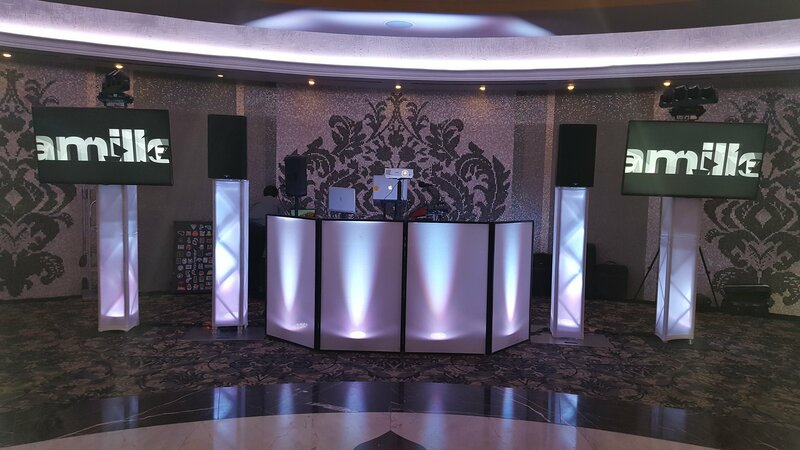 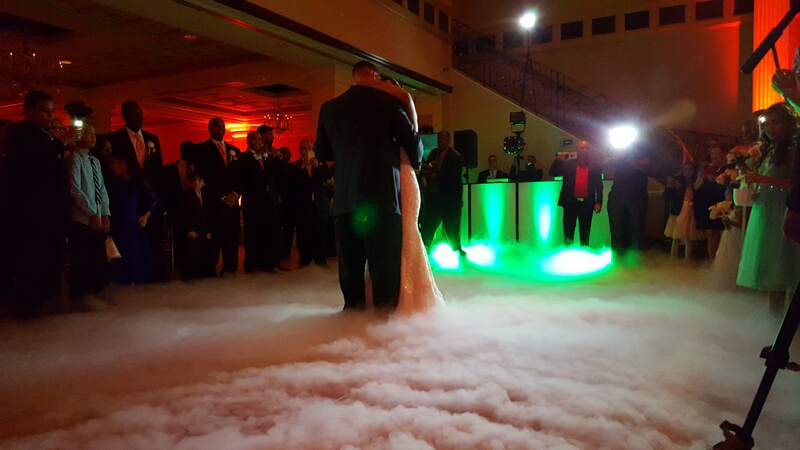 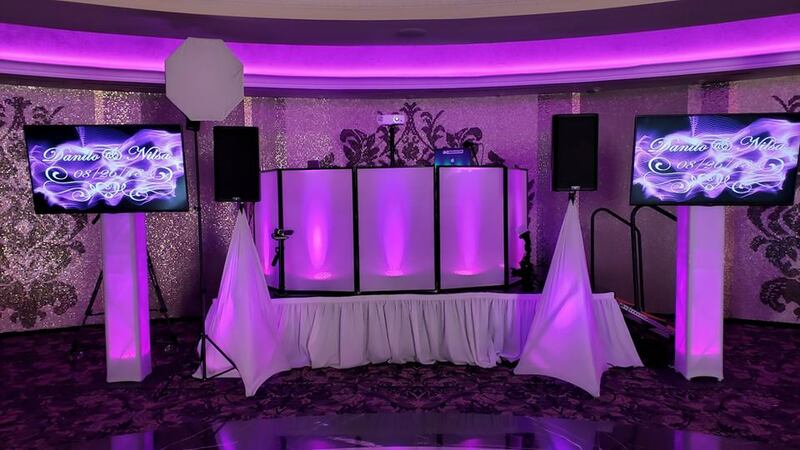 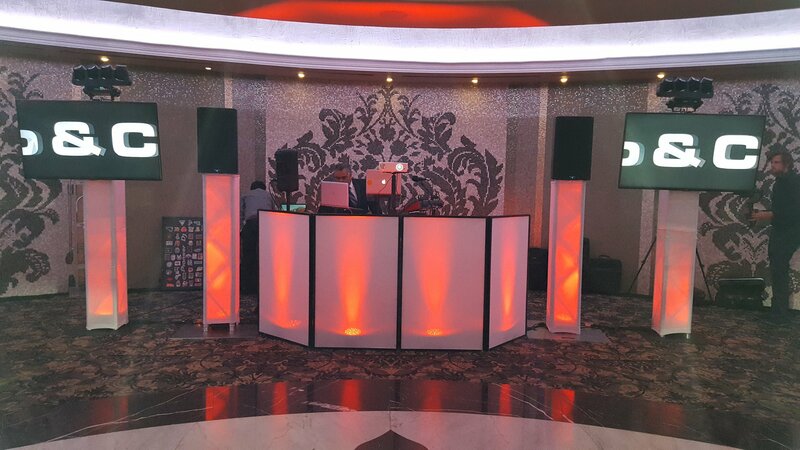 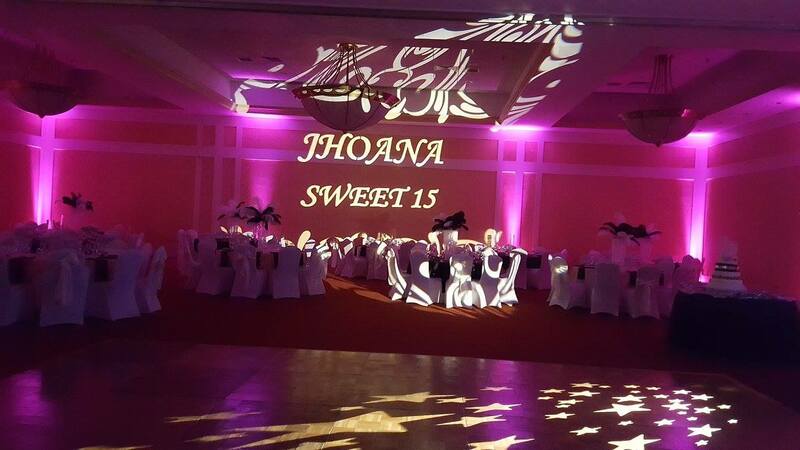 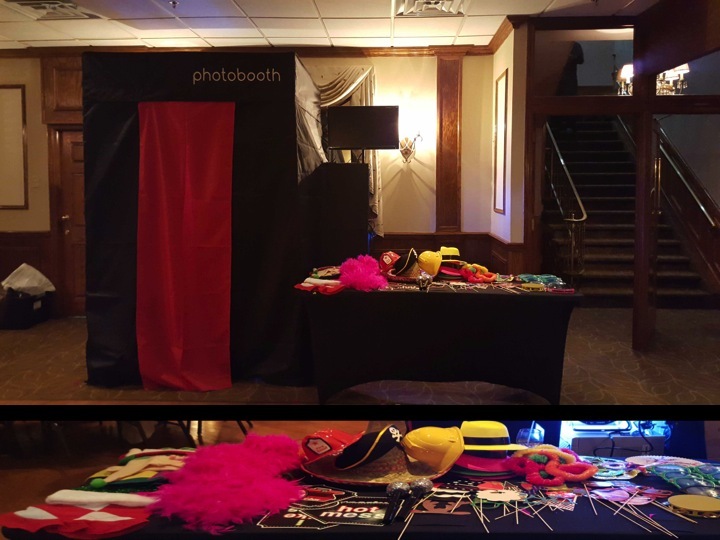 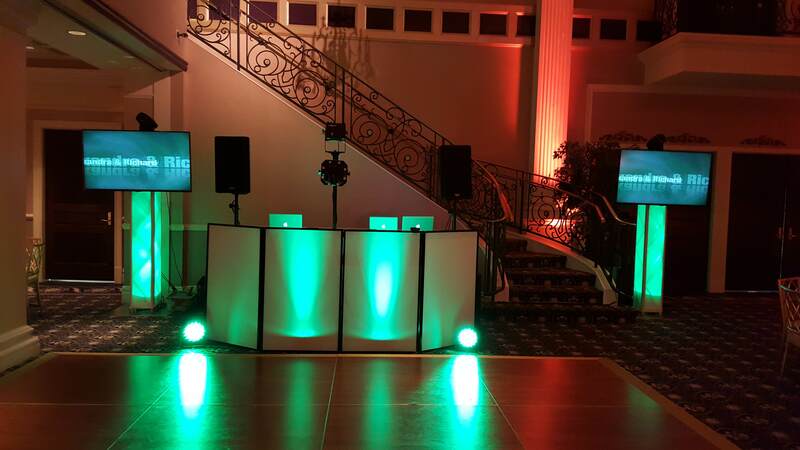 upgrade your packages by adding a gobo (name on the wall or dance floor), uplighting around the room, and the dancing in the clouds effect.